just what we sent forth." This morning, I found this handwritten quote on the inside cover of my old Angel Messenger Card book. Penned by me, many years ago, I thought it was a good reminder for today's blog. Also, maybe you, too, have been waking up in the middle of the night lately. If so, it's a call from your angels to spend a few moments sending prayers to the world. The power of prayer and meditation for world peace is especially needed at this hour; the hours between 3:00 and dawn bring added blessings. 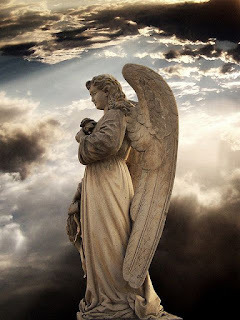 Enjoy your day with the Angels and walk in peace.